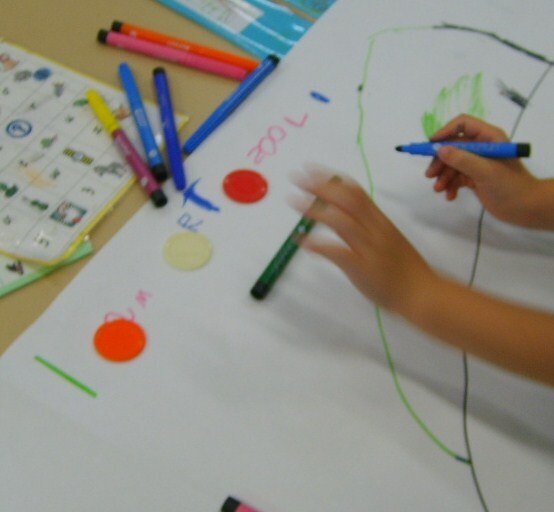 ← The Leadership for Community Engagement Program funded by the Department of Education and Early Childhood Development, Southern Metropolitan Region jointly with Noah’s Ark Inc.
Day 6- First year of formal education in Victoria, Australia for my 2011 Prep students: 4 & 5 year olds. PrepD Student Led Interactive Writing – Collective knowledge combined with collaboration is powerful! 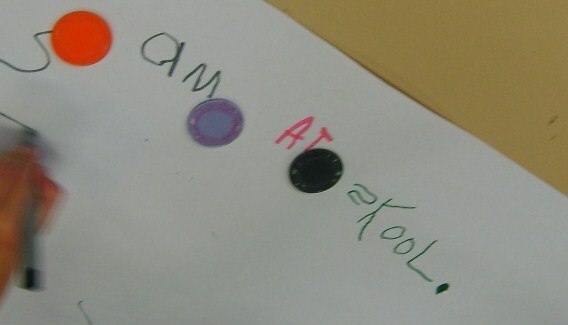 Day 6- First year of formal education in Victoria, Australia for my 2011 Prep students: 4 & 5 year olds. It always surprises me how much these very young children collectively know. One might know an ‘a’, another can write it! Some can hear the beginning sound, others the end sound. This week I introduced PrepD Student Led Interactive Writing and they loved it. 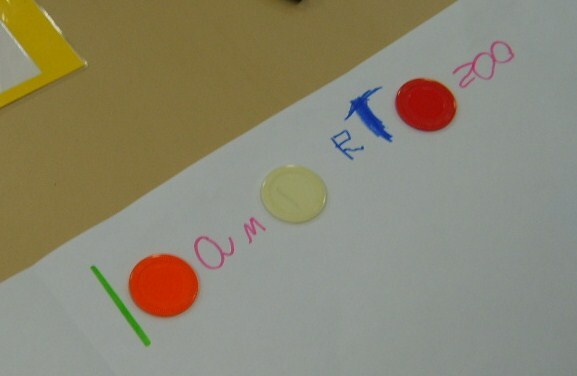 Each group had an alphabet chart for reference, and spacer counters for between words. Before writing, the children looked closely at the Emergent PM Writing Exemplar book to find out what a sentence is, what made a word, and how we end a sentence. I made a list of the attributes they noticed. Some words have more letters. 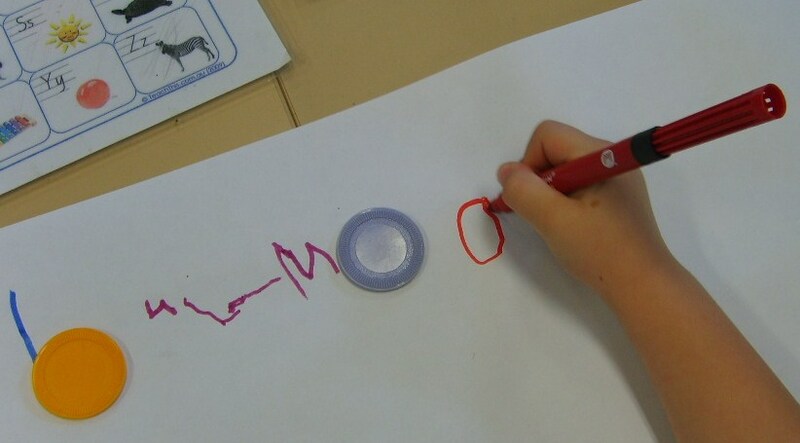 Letters have a sound and name. There’s a dot at the end. The dot stops the sentence. Some letters are big, some are small. Armed with this knowledge, the children were put into random groups of 3/4 students with a leader chosen. All students will have a turn at leading a collaborative writing group. 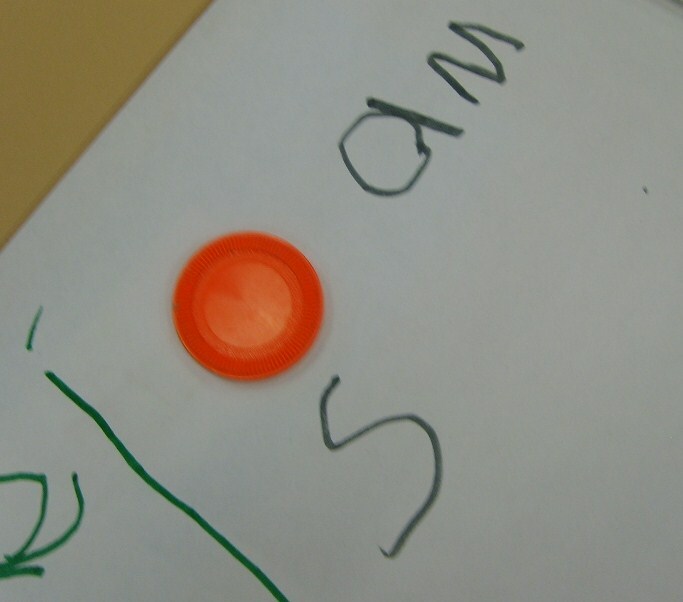 The leader is responsible for making sure children write their name down the side in their own color, and write their word of the sentence in name order. As this is the only time I allow the children to write in texta, it’s very exciting! Amazing! Looking forward to watching them fly! They are just so excited to be writing and reading. Nice work Nina. It looks like you are giving these kids the wings they need to fly.